Mr Heather has more than 40 years of experience in banking, restructuring, and mergers and acquisitions. Prior to returning to his current position as a result of the merger of Heather & Heather into Ritch, Mueller, Heather y Nicolau, SC, he was a partner at a leading US firm, where he headed the Latin American insolvency and restructuring group, and Ritch, Heather y Mueller in Mexico City, where he was the managing partner. In Mexico and the US, Mr Heather has published many articles and reviews on legal and financial topics, and has co-authored the treatise Regulation of Foreign Banks, among other publications. 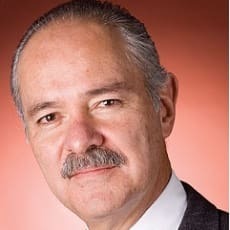 He is a board member of several leading corporations and Mexico’s second-largest bank. Mr Heather is a founding member of the International Insolvency Institute, of the American Bankruptcy Institute and was a member of the Mexican Institute of Insolvency Specialists (IFECOM), having acted as a conciliator in 20 cases (including in the Empresas ICA case), and as a liquidator or receiver, in addition to his role as lead counsel in hundreds of consensual restructurings. He has lectured extensively and is a member of the Advisory Board of the Programme on International Financial Institutions of Harvard University. Mr Heather holds an LLM from the University of Texas at Austin and obtained his law degree from the Escuela Libre de Derecho.